Sesame Street gets celebrity visitors all the time—particularly now that it wants to show off its fancy new digs—but some stand out more than others. 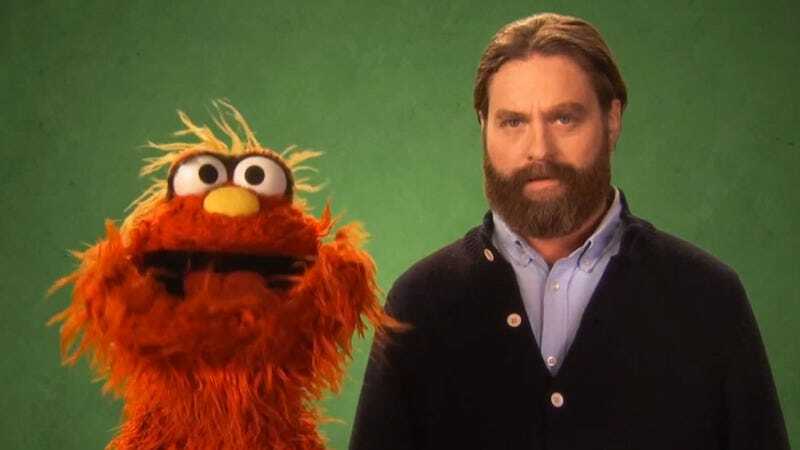 Take, for instance, recent guest Zach Galifianakis, who used an adapted nursery rhyme to teach the kids at home what the word “nimble” means. While “quick and light” aren’t exactly the first adjectives that come to mind when thinking about Galifianakis, the actor and comedian eventually gets moving once a chomping piranha gets involved.